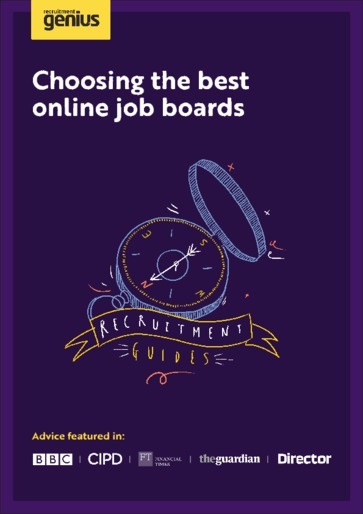 If you do not choose the best online job boards, then your recruitment campaign runs the risk of immediate failure. With over 2,000 job boards in the UK, you have to advertise on a broad range of job boards to generate sufficient market coverage. But with applicants only visiting an average of 2.4 sites, how do you know which ones to choose? You can never blame a relevant applicant for going on a ‘bad’ job board or visiting a site where your job is not advertised. This comprehensive guide takes you through the process from start to finish, from conducting thorough research and understanding your options, to negotiating advertising with as many sites as possible. The online recruitment industry is very fluid and fast moving, Google changes its algorithm, job boards change their spend on search engine optimisation and other forms of candidate attraction, while new jobs sites are created all time. Recruitment Genius has the expertise to navigate you through this tricky space.